I started reading Team of Rivals in December. I thought it would be a great way to end 2009- reading a big doorstopper of a book all about my favorite president. Almost four months to the day later, I finally finished it! Whew! That's not to say that Team of Rivals is not an excellent book. It is. But it is massive and dense and full of lion-like characters who dominate the page. I thoroughly enjoyed reading it, but I am glad I gave myself the leisure to read it whenever I felt like it, instead of all at once. I am not going to do a summary here because I think it would be somewhat fruitless. The book is about Abraham Lincoln's ascendancy to the Presidency (I just made that phrase up, and it has quite a ring to it, doesn't it?) and what he did when he got there. How did he deal with his Cabinet? How did he manage to abolish slavery? What was his personality? Did people have confidence in him? Being from Illinois, it is hard to go through life without knowing a lot about Abraham Lincoln. But it's easy to look back through rose-colored glasses at a President who accomplished so much, and ignore the reality of the situation. Of course everyone had faith in him! He ended slavery! He won the Civil War! He lived in a log cabin! He was from Illinois! The truth of the matter is, though, that no one really knew what Abraham Lincoln was capable of because, when he became President, no one really knew him. And even today, we think of him as that majestic, marble statue watching benignly over us in Washington, DC, not as the man who lived and breathed. So what did I learn from this book? That Abraham Lincoln was a very nice man. Ridiculously nice. He forgave people when they betrayed him. Multiple times. He had a wonderful sense of humor. He was kind to everyone who wanted to speak to him. He was patient. He was honorable. He was amazing. I kind of fell in love with him. But I am not alone in this! Everyone who got to know Abraham Lincoln fell in love with him. He was just that great. Do you know how fabulous it is to read about a hero of yours and find out that he really was as wonderful as you were brought up to believe? Let me tell you- it is uber-fabulous. Of course Lincoln had flaws. He did suspend Habeas Corpus. I think Goodwin portrayed Lincoln almost too positively- everything that went wrong during his administration, she seemed to blame on someone else. Which is ironic, because time and again, Lincoln took the blame for anything that went wrong. Because he was just that nice a guy. 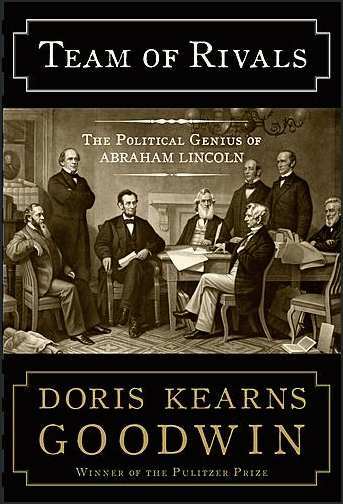 This book is ostensibly about Lincoln's Cabinet members, and I learned a great deal about them and their personalities, too. But Lincoln towers above them all, directing the war effort, gaining support for his policies, and making all the final decisions. He is often highlighted as our best president due to all the landmarks he achieved during his terms, but I feel we never realize that a large part of his greatness was his ability to empathize with people. He knew how to admit when he was wrong. He knew how to make people laugh at a tense moment, how to diffuse tension. He gave people second chances. He was humble, but he always believed in his own abilities. And in that way, he is a hero we can all look up to- not just for keeping the country together, but for being a really outstanding human being. 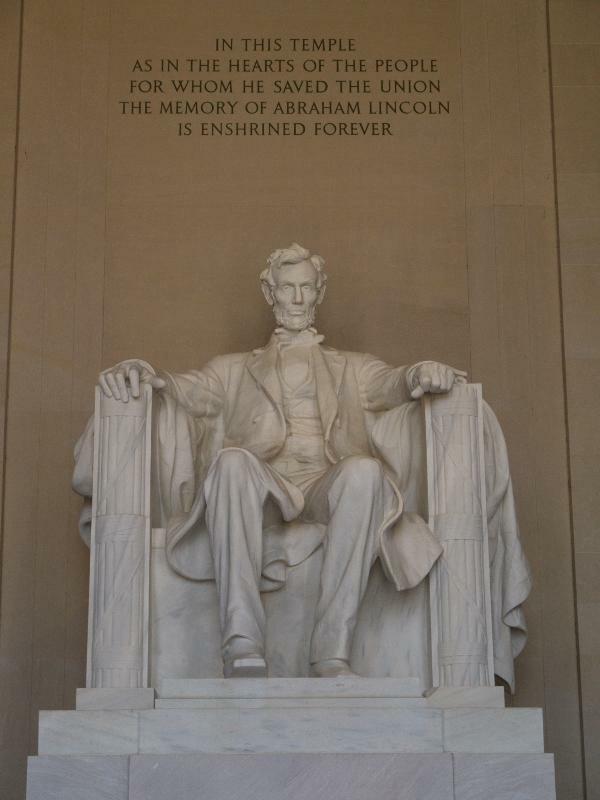 Now, why was Lincoln so great that he overshadows all other national heroes? He really was not a great general like Napoleon or Washington; he was not such a skillful statesman as Gladstone or Frederick the Great; but his supremacy expresses itself altogether in his peculiar moral power and in the greatness of his character. Washington was a typical American. Napoleon was a typical Frenchman, but Lincoln was a humanitarian as broad as the world. He was bigger than his country-bigger than all the Presidents together. We are still too near to his greatness, but after a few centuries more our posterity will find him considerably bigger than we do. His genius is still too strong and too powerful for the common understanding, just as the sun is too hot when its light beams directly on us. I sound like a fangirl. But that's fine because it's warranted. And I can understand now why we in the US are so reluctant to get rid of our pennies. 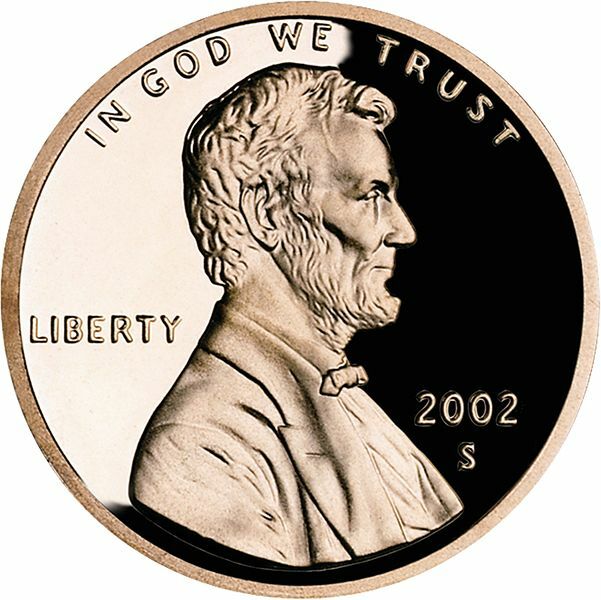 It's nice to go through life with Lincoln in my pocket. President Lincoln indeed sounds like a nice man--my kind of person. I admit I don't know too much about him other than what we learned in school--and not being from Illinois, I imagine it's a lot less than you probably learned. Thank you for the great review, Aarti! 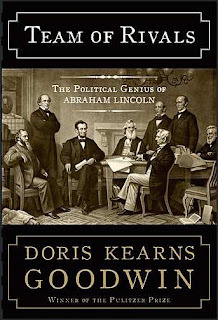 Doris Kearns Goodwin does a nice job of making history readable. I think she herself falls in love with her subjects, and definitely paints Lincoln with a rosy brush (as she did Roosevelt, Kennedy, and Johnson). But I still think she does a great service to people by giving them history books that are fun and interesting. You probably know that both she and Stephen Ambrose had problems with plagiarism, and both came out of with remarkable resilience as publishable authors. I think it's just because people really like their books! I read Goodwin's The Fitzgeralds and The Kennedys in high school and agree that she tends to be a bit too forgiving of these historical heroes but she also really brought the Kennedys to life and I would love to read this Lincoln book at some point! I loved the details of this book. I also appreciate some positive spin every now and again. I think we've learned in the past 50 years or so that our leaders aren't perfect, so lets move on and honor the good that they've done. Yay, Doris! I have to admit that when a book portrays someone this positively, I always become suspicious. It is nice to know that someone was that nice though, but I think that if I read this book I'd like to read another one on the side to compare notes. What a great review! I got this book out of the library a while back, but I didn't manage to read it in time. I kind of regret it, but I think it would have taken me at least as long as it took you and I couldn't do that with a library book. I'm very interested in it though, especially now. This book sounds wonderful! I love finding out that heroes have genuine goodness in them! Goodwin's portrayals in The Fitzgeralds and the Kennedys was great, too! I love that Tolstoy quote! I am always getting fangirl crushes on historical figures, but usually when I read an entire biography of them, I find out they have feet of clay, and it makes me sad. So I don't read biographies very often. I wonder how Lincoln would fare in this day and electronic age? Great post, love that you are a fangirl of Lincoln. Literary Feline- Yes, he seems my kind of guy, too. Rhapsody- I did not know that about plagiarism- thanks for giving me something to look into. Kristen- Oh, maybe she consistently just gets so close to her subjects that she gets defensive of them! Iris- Yes, it may be one-sided, but I also don't know how many books are out there portraying Lincoln negatively. Meghan- Yes, it took me a VERY long time, but maybe it will be quicker for you! Laurel- I haven't read any of her other books, but I will keep this Kennedys one in mind. Amanda- Thanks ;-) It was persistence! Ah Yuan- Wow, two days is very impressive! Much better than my four months. Jenny- I know what you mean. It can be very upsetting sometimes, but not this time! Bookmagic- Yes, particularly history doorstoppers can be quite exhausting to read. So one every once in a while is good. I also have Manhunt about the search for Booth- that is also huge! 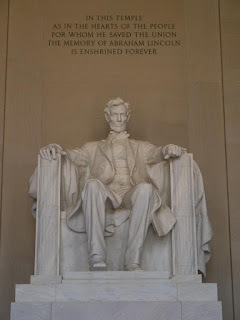 I didn't grow up in Illinois, but I did grow up in St. Louis and went to Springfield on field trips, and my grandparents lived near Lincoln's birthplace in Kentucky, so I learned a lot about him in my youth. I think it's funny how people who grow up in IL are often huge Lincoln fans...funny in a good way. Also I love Shelley's comment about how we've figured out our leaders aren't perfect, let's get over it-- so true! I have always enjoyed learning about Lincoln and so this book sounds very interesting. Good for you for finishing it! Great review, Aarti. I felt the same way after finishing this. I was glad I got to see Lincoln as just a normal guy instead of the saint-like figure we've made him out to be. We saw his faults and weaknesses, but we also saw what a great mind he had. He did whatever he had to do to get things done, even if it meant taking the blame and looking like a fool. I really don't know much about Lincoln but this book sounds wonderful. Great review. I honestly don't know that much about Lincoln, and that's why this book intrigues me so. It sounds like he was just an outstanding president and person, and I really would like to read this little gem of a book to find out more about this admirable man. It's so cute that you have a little crush on him as well! I am so glad you liked this book. I saw on Good Reads you had finished it, and have been waiting to see what you thought. It sounds like one for me!! Great review, Aarti! I am going to be adding this one to my wish list a.s.a.p.!! I love Lincoln from what I've learned thus far. Sounds like I need to keep learning more, because he's worth it! PS I'm from Illinois as well so maybe that's why I've always considered myself somewhat of a fangirl too! I started this in November and only got about 100 pages or so into before calling it quits. I'll pick it up again another time, I'm sure. Wow, 4 months? Great persistence. I love books like this, where the author makes you like history. I'd say I'd add it to my list, but I have a whole shelf of history books I need to read! What a great review. Almost made me want to read this it, even though history is rarely my subject. I love this author and definitely will read this book in the future. I've heard her on Book TV discussing her various works through the years. Being a history major in college and history geek now, I can't resist a good book about a president! Blodeuedd- I'm not as nice as him, either! Christy- I actually don't know if we *do* see him as normal, with faults. I feel like Goodwin presents him in a very positive light. Tara- Ooh, I don't think I've heard much bad, but I can imagine you are sprouting with pride! Zibilee- Yes, I wish more people in leadership positions had that sort of moral compass. readerbuzz- It's definitely of a very intimidating size but 150 pages are just notes!! JT- Yes, as stated above, it took me FOREVER to read and there was a fair amount of skimming through parts that didn't interest me. softdrink- Persistence, stubborness... same thing, right? Carol- Sad as I am to say it, I don't think this is a great introduction to the history genre, almost solely because of its length! Kathleen- Oh, I've never watched Book TV, but she does seem to publicize her books well! This is my favorite biography. I when I read it the first time, I thought it was due to Goodwin's abilities in the story-telling deparment. But after trying to wade through two of her other books, I was somewhat shaken. I think the book succeeds based on her writing talent, in part; but mostly because of the subject - our great hero. By the way, since you are a fangirl, you may enjoy the book Manhunt about the search for John Wilkes Booth. I found it a good cap to Goodwin's book (much faster read, though). Pass up Commander in Chief, though. It covers most of the material in Team of Rivals, but only makes you hate McClellan even more. Ah, for the day when we can actually admire our politicians... We've just got a new PM in the UK and everything feels a little unstable.